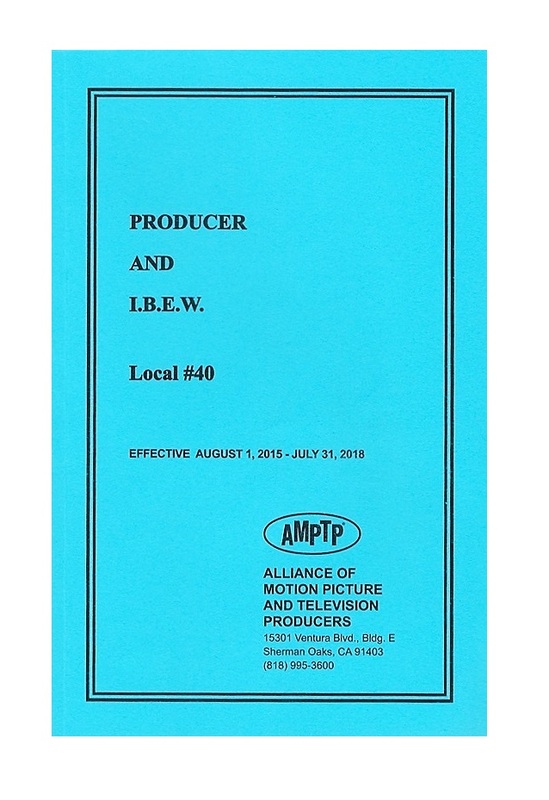 Motion Picture Agreement between the Producers and IBEW Local 40, covering Electrical (electrical maintenance, refurbishment and construction electrical work, including generator operators and wind machines), HVAC (operation, construction & maintenance of heating, ventilating, air conditioning, boilers and on-set portable A/C) Sound Installation, Electronics when employed by motion picture studio or producer. 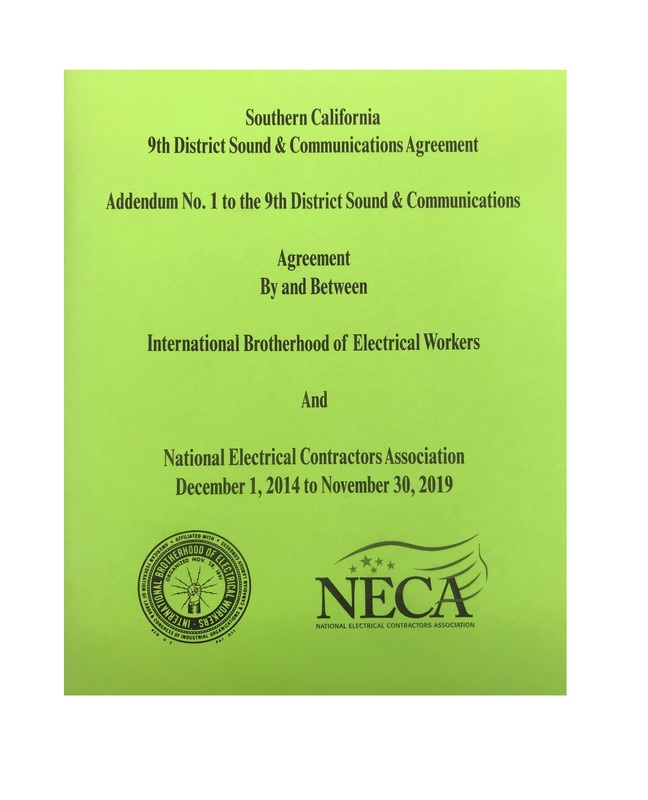 Inside Construction Agreement between IBEW Local 40, and LA County NECA covering all electrical work that is contracted out at the motion picture studios and all electrical work for motion picture industry production. 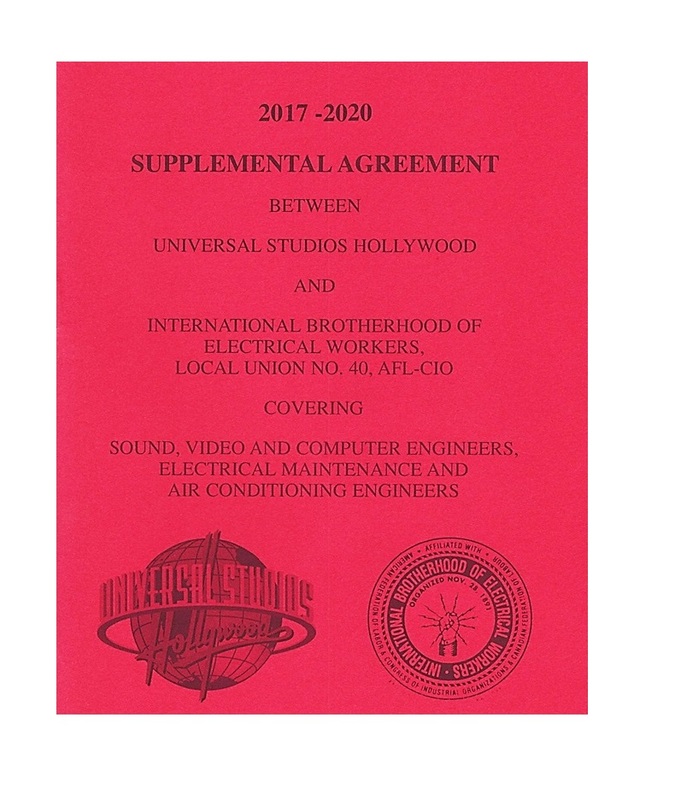 Supplemental Agreement between Universal Studios Hollywood and IBEW Local 40 covering the operation & maintenance of heating, ventilating, refrigeration, air conditioning, lighting equipment, boilers and electrical maintenance, refurbishment and construction electrical work, including Kitchen Technicians, HVACR Technicians, Sound & Video Technicians in facilities owned and operated by Universal Studios Hollywood. 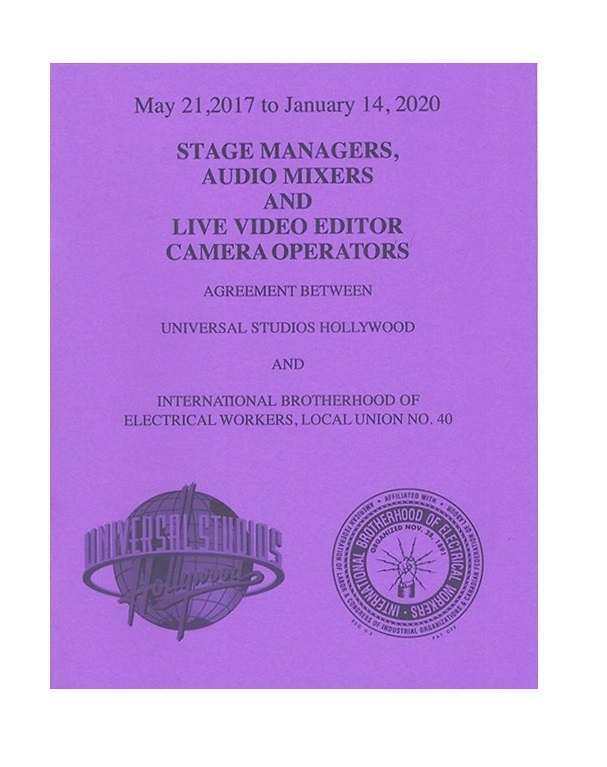 This Agreement shall apply to the following classifications: Stage Managers, Production Stage Managers, Audio Mixers, and Live Video Editor/Camera Operators. 9th District Sound & Communications Agreement between IBEW Local 40, and LA County NECA covering all low voltage work utilizing the transference or transmission of voice, sound, vision, and digital content, for security, fire alarm, utility, and entertainment that is contracted out at the motion picture studios and for motion picture industry production.